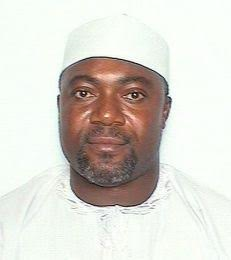 A member of the House of Representatives, Umar Yakubu Barde has advocated for the amputation of hands of those found guilty of stealing from the Nation's treasury. “I am a believer of the fact that, people should be punished for whatever offence they commit. And I am also of the belief that punishment should also be segregated according to the offence. At least, your punishment should be commensurate with what you have done. For me, if you ask me, if someone steals from N1million to N100 million, they should cut his hand. Yes, there is nothing wrong with that, so that when we see him, we will know yes, he stole. And those that steal from billions upward should be hanged and their property confiscated. You can imagine this issue of arms deal. If you knew this money was meant for the procurement of arms, weapons, my brothers and sisters here, if you have a brother in the Army, he is sent to the warfront and because his weapons are archaic, he is killed. Do you now want to have sympathy for someone who knows that the money was meant for arms and he pocketed it? It is so painful, we have lost loved ones. If I am a judge and such a person is brought before me, I will confiscate his property and make sure he is killed also. Because he is guilty of the blood of the people killed in the warfront. We are living in a very funny country where people steal N1, 000 and they are put in jail for years. And where some people will steal billions and use that same billion to escape justice. That is not good enough. For me personally, let me let the cat out of the bag, some members of the National Assembly and I are of the believe that, we should have special courts for corruption cases. Because, if you look at the quantum of corruption in the country today, we are just talking about Dasuki Gate and look at the quantum of money and the number of people that are involved. You have not gone to the ministries yet. You have not even gone to the states and it is only ICPC and EFCC that are to do all these jobs. If we are fair to ourselves, the work is overwhelming. And you know, people will want to use the legal system to delay justice, and that is what is happening today. So, why don’t we have dedicated courts to handle all these corruption cases, so that justice could be dispensed quickly? I am aware of former governors who have cases with EFCC and they have not gone to court for the past eight years. So, this does not encourage the young people. It rather encourages them to steal, because if you can delay justice for 10 years, it means that is a good one. So, I think we need to put our heads together because corruption like hunger, does not know party, it does not know tribe or religion. We must as Nigerians take a very bold stand” he said.